MilesWeb cPanel Hosting Review: Feature-Rich & Value-for-Money Hosting Solution! cPanel is the most commonly used control panel because of many reasons. It makes account management a breeze due to its multiple features and user-friendliness. cPanel gives you total control over your web hosting account. MilesWeb’s cPanel hosting takes things even further. You get access to Softaculous auto installer and install all the commonly used programs including WP, Drupal, Joomla and others in just a few clicks. MilesWeb’s cPanel hosting makes shared hosting even easier. Their shared hosting plans provide the best of cPanel hosting, affordability and performance. Besides, the MilesWeb team is always there to help put your website, blog, Wiki, online store or CMS online in an instant. The hosting plans are already preconfigured with PHP, LiteSpeed, MySQL and many other essential components. Private SSL certificate comes free with the hosting solution. Dedicated IP address can also be added for a small premium. 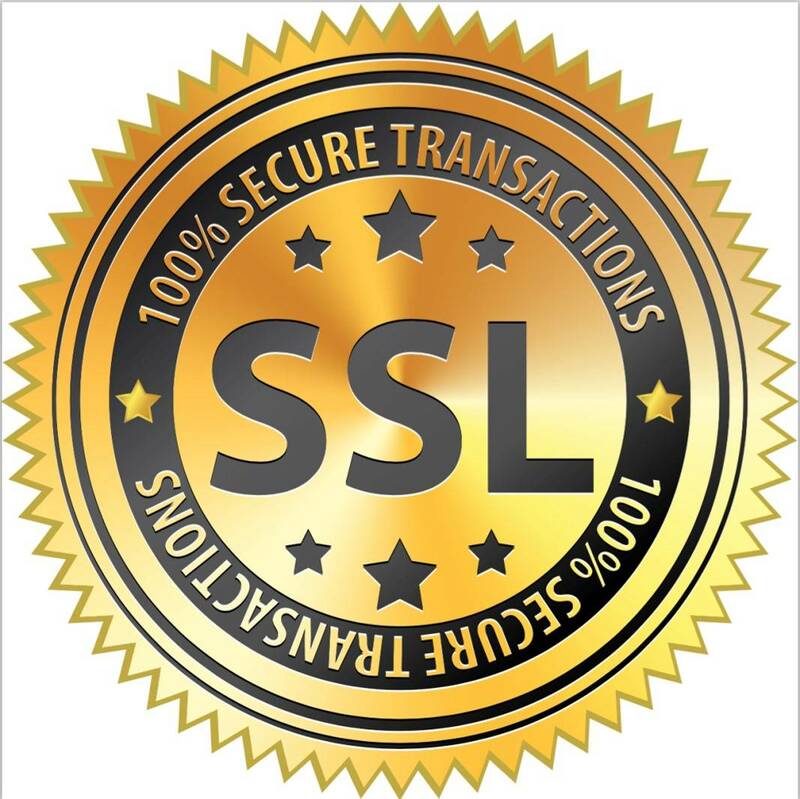 Most other shared hosting providers will charge you a premium for SSL certificate. MilesWeb offers it for free with its cPanel hosting plans. So what are the advantages of this certificate? It helps in showing your customers that you are a trusted business. It helps keep your own website and your visitors’ data safe. It can also help improve your search rankings. There are web hosts out there that make claims of 99.99% uptime without any genuineness to back it up. MilesWeb offers a proven 99.95% uptime with a guarantee. The only time your site is likely to be down is when there’s server maintenance and this host accounts for it with the 0.05% gap. Install any app in just a single click. You can install WP, Magento, Joomla, Drupal or any other program for free using Softaculous that comes with cPanel. You don’t have to have any tech knowledge in order to setup your account and website. The MilesWeb team provides complete assistance during all stages. Typically shared hosting is known for many limitations. Unlimited IMAP and POP3 email accounts is a distant call for cPanel hosting. But MilesWeb makes a difference with its unlimited email accounts along with webmail support. This means you can access your emails on any device with internet access. MilesWeb ensures that only the latest and compatible versions of PHP and MySQL are made available. This is a crucial factor for stability and eliminating any risks of errors which can prove to be devastating. If you have an online store, cPanel hosting becomes both economical and easy with MilesWeb. Free shopping carts are available including Magento, ZenCart, Prestashop, CubceCart and osCommerce. MilesWeb’s cPanel hosting is affordable and offers value-for-money. It comes with advanced data security along with daily automated backup. Don’t confuse affordability with anything cheap. There data centers are among the best in the world. Besides, restoring data (in case of any incidents) takes nothing more than a few clicks. As already mentioned, MilesWeb’s cPanel Hosting plans are the perfect combination of affordability and value for money. It’s difficult to find a more affordable shared hosting solutions set of plans that deliver so much in terms of resources and value. Economy plan costs just around $1.67 per mo. and less than $20 USD annually. The value plan costs around $3.50 per mo. The plan costs around $6 per mo. MilesWeb’s cPanel hosting allows you to host a personal or business blog, an ecommerce store or your business site with utmost ease. There’s total flexibility and you can also upgrade any time. MilesWeb has world-class data centers powered by Intel processors and Dell server hardware that ensure highest performance plus uptime. All this means the highest-possible reliability plus exceptional speed. Technical support is available for free. MilesWeb has its own datacenters located in the United States, United Kingdom and India. This Indian hosting provider also allows its users to choose their preferred server location. This has many advantages, with the most important one being able to host your blog or site close to your targeted market. It will also help boost your search engine rankings based on proximity to the market. Currently, MilesWeb is also running a limited period offer that provides free .in or .co.in domain for 1 year when you choose any of their cPanel hosting plan. The web hosting provider also offers anytime money-back guarantee. If you are not satisfied with their plan at any time, you could easily cancel the subscription. Overall, MilesWeb’s cPanel hosting solution is a feature-rich, value-for-money package that’s perfectly suited for small to medium sized businesses and users. I was searching for best web host provider, which having 24*7 support. So, if there comes any problem with my website, I can contact them at any time. I read about milesweb on question answer site, where they mentioned about there 24*7 support. Today, I am one of those highly satisfied customers of milesweb, which are more happier with current web host provider. 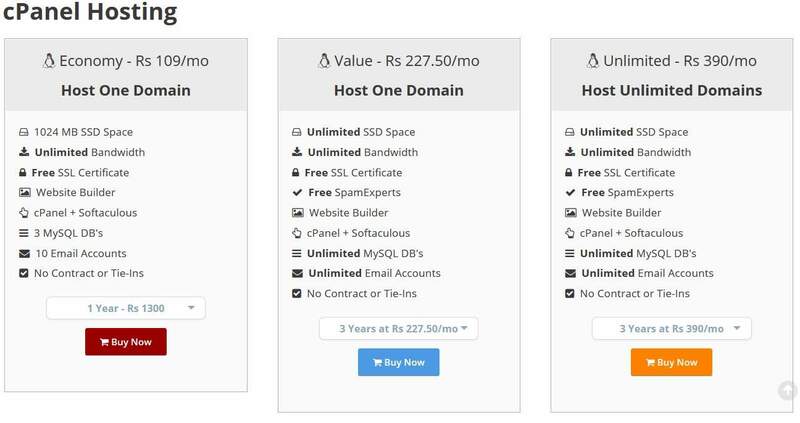 In todays scenario, competition between web hosting providers is so high that every business tries to take over each other. But when it comes to milesweb, they having slight advantage over other, as they having highly qualified tech support, 24*7 support, latest servers and many more advantages. They are highly recommended for any business. Yes, milesweb provides excellent tech support, which has made them more reliable web host. They having latest servers, with high uptime. I have comparatively experienced a very good uptime with my website since I have switched MilesWeb service. Their cPanel hosting plans are truly affordable, value-for-money that perfectly suited for my business. It’s been 1.5 years with the MilesWeb hosting provider and I am very happy with MilesWeb support and service. I came to know that my site is blank which never happen before. I tried first from my side to solve. But afterward, I generate a ticket with MilesWeb. Within 15 minutes they came up with an immediate solution. After that, they continuously took followup too. I m delight with service render by MilesWeb!! !